Today, February 27, is the Feast Day of St. Gabriel Possenti. Legend holds that Gabriel Possenti was a Catholic seminarian in Isola del Gran Sasso, Italy. In 1860 he is said to have used his skills with the pistol to drive off a band of marauding soldiers who were terrorizing the town. Possenti faced the troublemakers after grabbing revolvers from two soldiers. As they laughed at the young student, he took aim and accurately shot a lizard that was running across the road. Impressed, the soldiers left the town, escorted by the seminarian, who had become the hero of the town. Like many Saints, there's an unclear line between the facts of the Saint's life and the "tradition" associated with him. However, this story about Gabriel Possenti has led to him being promoted as the Patron Saint of Handgunners. The St. Gabriel Possenti Society was created for the purpose of promoting the Saint's cause. 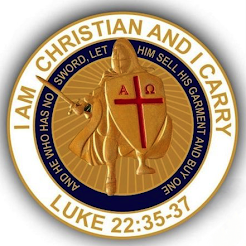 The society also promotes the study of the historical, philosophical and theological bases for the doctrine of self-defense. 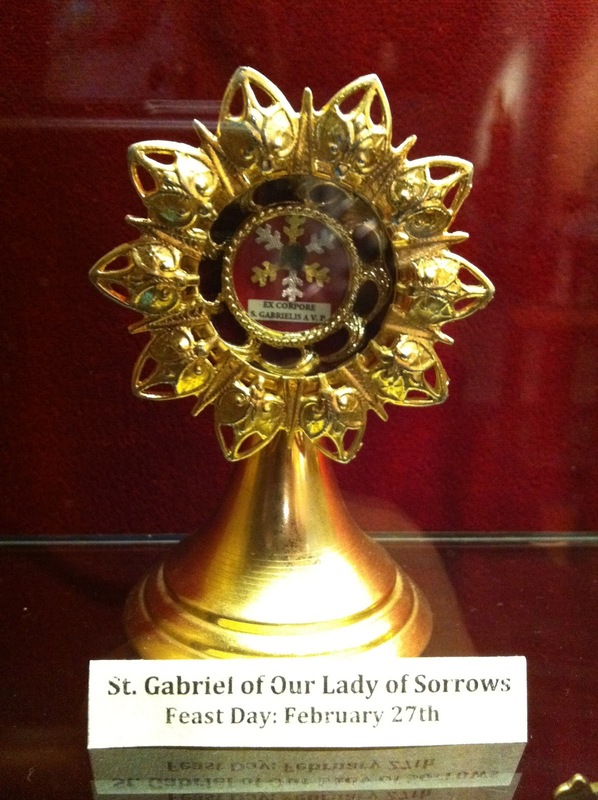 A few years ago, our parish was presented with a relic of St. Gabriel Possenti, under the title St. Gabriel of Our Lady of Sorrows. It was an exciting moment when I saw the blurb announcing the displayed relic in our weekly bulletin. Since then, I've enjoyed sharing the story of Gabriel Possenti with many parishioners. I dare say most of our Catholic friends who also enjoy shooting are now familiar with the Saint and his story. 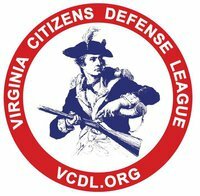 In another interesting "coincidence," my Virginia Concealed Handgun permit was originally issued on February 27, the Feast Day of the Patron Saint of Handgunners! Today would be a great day to hit the range. 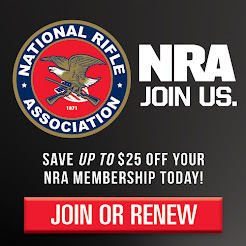 If that's not possible, buying some ammo would be a fine recognition of the Saint. Yep, it's a word. Kalsarikännit is Finnish for the joy of drinking at home, alone, in your underwear , with no intention of going out. It seems the Finns may have perfected the art of relaxation. Rest assured I will not be musing on any experiences I may or may not have enjoying Kalsarikännit. 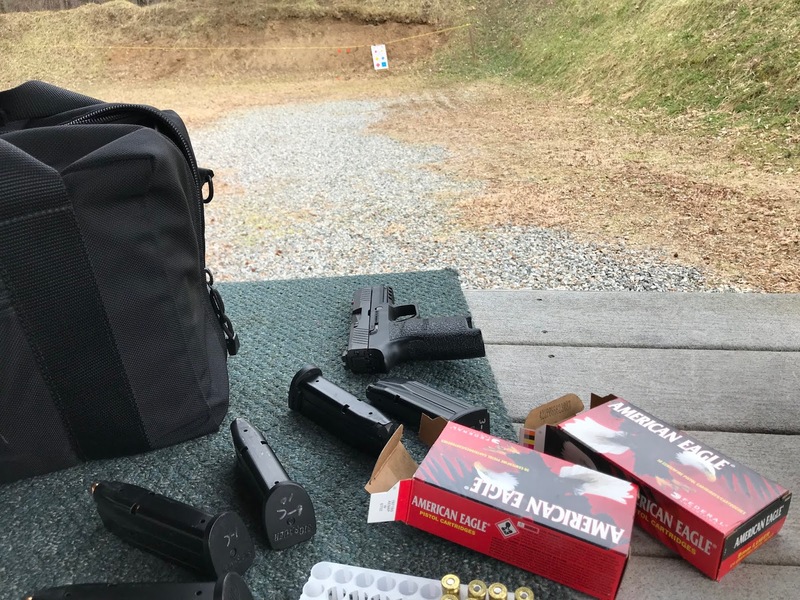 The combination of an encouraging report from my cardiologist and some unseasonably warm February weather made for the perfect time to head over to the range Friday afternoon. This was the first time I've shot in 2019, and despite some apprehension, I was excited to be on the range. 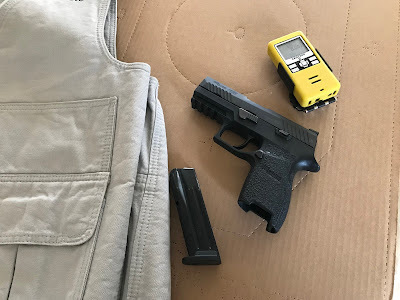 I took the SIG P320 Compact, and only 100 rounds of ammunition. I knew I'd be tempted to overdue it, so I set that limit before I left the house. I set up one of the colors and shapes targets, and hung some clays from the rope. All shooting was done between 7 and 10 yards. I wasn't overly pleased with my accuracy at the start. The groups were loose, although I did manage hit the clays fairly consistently out to 10 yards. By the end of the two boxes of ammo, I was feeling better, but still need some honing of my very stale skills. As I was setting up, interesting conversations started up with others at the range. When I arrived, a shooter was picking up brass after shooting his new SIG P365. As we chatted, one of the guys who had been fishing came over to his truck that was parked near the bay. He then showed us the SIG P229 he was carrying. It turns out also that he used to shoot IDPA and 3-gun, and had been considering coming down to the IDPA matches at Cavalier. I let him know I shoot those matches frequently and encouraged him to do just that. Overall it was a very enjoyable outing. I got a little shooting in, and had fun chats with other SIG Sauer enthusiasts. It was a break I absolutely needed. As I work through my recovery, the enjoyment of alcohol and cigars figures frequently in my conversations with health care professionals. The earliest discussions took place in the ICU. For three days I was asked by numerous people if I was smoker. I replied I enjoyed the occasional cigar. Most of the time the person said nothing. Maybe they were simply relieved I didn't use cigarettes. Just once the reply was "you can't do that." One nurse replied, "If you're like my husband, you won't give that up." While being interviewed by a doctor, he replied with a smile, "Not in here, right?" 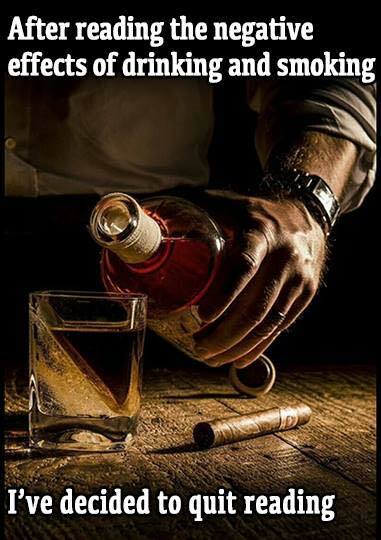 Most of the comments about alcohol revolve around warnings about "more than one or two drinks a day." 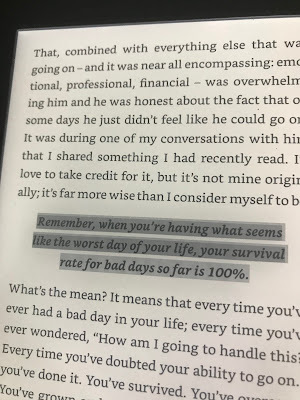 Despite an oft misunderstood reputation, that's closer to my total in a week. Picking up prescriptions, a pharmacist remarked, "I'm supposed to warn you about alcohol, but let's be realistic..." I have treated myself to a beer on occasion since the heart attack. As an aside, I now (mostly) limit myself to one cup of coffee a day. That's a major change for me. I'm resting at home now. I open my humidor and rearrange cigars occasionally, taking in their aroma. I won't be smoking for a while, probably closer to the end of my cardio rehab sessions. It's too cold outside to enjoy a smoke on the deck anyway. I've also started questioning the wisdom of sitting in a smokey lounge with the associated second hand smoke. "Not in here?" That still cracks me up. 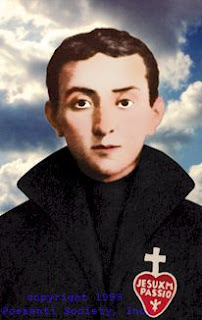 Today, February 10, is the anniversary of the martyrdom of Saint José Sánchez del Río. 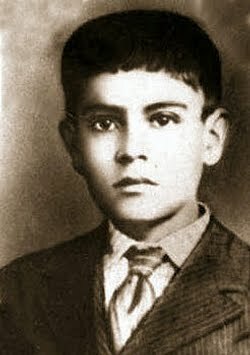 On this date in 1928, this 14 year old boy was killed by Mexican troops for refusing to renounce his Catholic faith during the Cristero War. The story of this period of Catholic persecution led by Mexican President Calles was told in the movie "For Greater Glory." The young martyr was beatified by Pope Benedict XVI on November 20, 2005, and later canonized by Pope Francis on October 16, 2016. The Saint's story is one with which few American Catholics are familiar. That is a tragedy in its own right. Though they might not know the Saint's story, many Americans are no doubt familiar with his face. 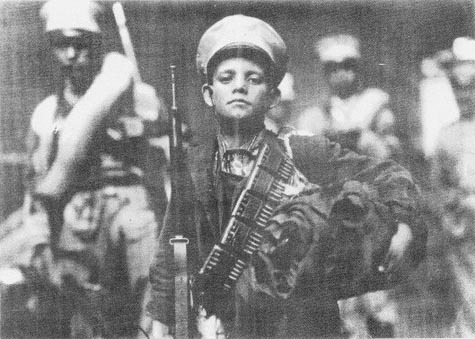 The picture, shown below, of the young boy with Cristeros fighters is one that is often seen hanging in Mexican restaurants, among other old photos. Probably not too many diners know that a Saint and fighter for religious freedom is looking down at them while they eat. After José was captured by government forces fighting the Cristero, he was forced to witness the torture and execution of fellow Catholic countrymen, yet he never wavered in his faithful resolve. He was himself was tortured and urged to shout "Death to Christ the King" with the promise his suffering would be over. On the day of his torturous execution, the soldiers cut the soles of his feet and he was made to walk barefooted to the grave they had dug for him. He was repeatedly stabbed with bayonets as he made his way to the place of his martyrdom. Even after he had been shot he continued to cry out "Viva Cristo Rey!" ("Long live Christ the King!") The commander of the soldiers was so furious that he was able to resist the government barbarism, he finally shot the boy in the head. As he died he is said to have drawn a cross on the ground with his own blood as a final act of defiance. During the Cristeros War many Catholics were killed by the Mexican government for their faith. This tragic part of recent history is pointedly ignored by the history books in both the United States and Mexico. 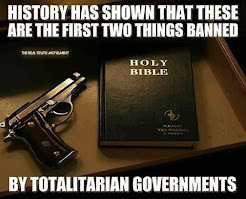 It is a story that needs to be told and learned by all free people. Saint José Sánchez del Río is truly a Saint for our times. 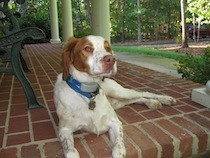 His faithfulness in the face of torture and death should be a model for all of us. 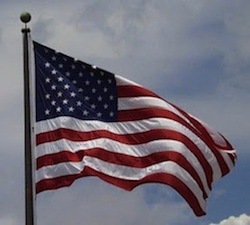 I pray we can be as strong when our own persecution comes. Saint José Sánchez del Río, Pray For Us! Don't try this at home. Or anywhere else. Have a responsible winter weekend. Even though I'm not yet ready for the range, I thought, "If I can walk on a treadmill, I can at least dry fire!" I have gotten to enjoy neither dry or live fire this year, so I was very overdue for trigger time. While some of my friends where shooting an IDPA match on Saturday morning, I spent time pulling the trigger on an empty gun. My dry fire routine is pretty simple, so no modifications were needed in the typical 15 minute routine. Five minutes of "surprise" tigger presses with the timer, including SHO shooting, started the session. The next five minutes were devoted to drawing from the holster and getting the gun on target quickly. Finally, I continued the draw practice with the addition of movement to get to the target. My plan is to compete with the Compact SIG P320 in 2019. Unfortunately I've missed more matches than I've shot so far this year, and I only got to the range with the gun a few times at the end of 2018. 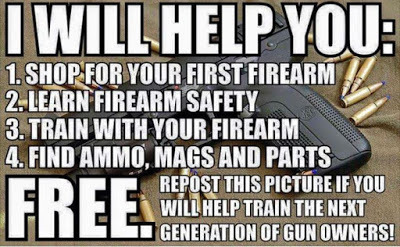 Hopefully a trip to the range for some live fire is not long off. On the bright side, I was much warmer than my friends who shot outside today. "I'd Like A Great Lake Of Beer For The King Of Kings. I Would Like To Be Watching Heaven's Family Drinking It Through All Eternity." Our family has long had an affection for this great Saint. It was during our trip to Ireland a few years ago that I came to realize just how popular she is in that country, second only to St. Patrick it seems. Her legendary association with miracles involving beer often overshadows her deeds of charity and compassion. Beyond her prayer for a "great lake of beer" this revered Saint has other interesting connections with beer. According to tradition, Brigid was working in a leper colony when they ran out of beer. Since beer was an important source of safe liquid refreshment and nourishment, this was indeed a serious issue. 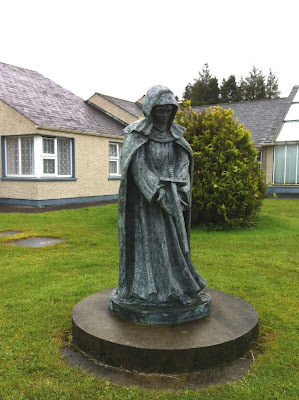 Brigid is said to have changed her bath water into beer to nourish the lepers and visiting clerics. 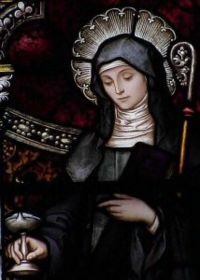 In another miracle attributed to St. Brigid, she provided beer to 18 churches for an entire Easter season, all from a single barrel of beer in her convent. St. Brigid, ora pro nobis! And cheers!